As told by Sam Root from Salty Shores. RAILBLAZA is a New Zealand-based company that makes a universal mounting product. They are available in the US now through retailers nationally and distributed by YakGear. The base of everything is an 8 point StarPort. This star created a tight lock so it will not spin randomly on you. The slide locking mechanism allows for quick locking the unit and prevents it from falling out. All the bases come with stainless steel hardware. Stainless steel minimizes rust and saves you from running all over town looking at Home Depot, Lowes, or Ace Hardware looking for replacements. In theory, you can mount these things anywhere! 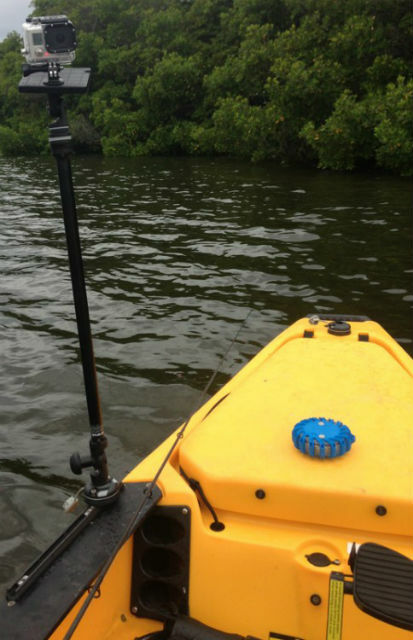 However, for our purpose, we will be talking about using them in fishing boats and kayaks. 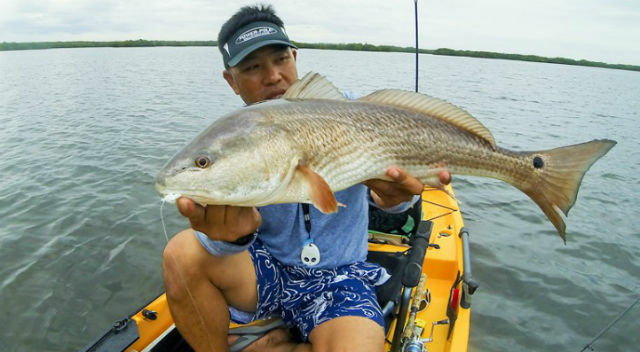 One of the problems with fishing and more specifically kayak fishing (among other things) is when you get a good catch you want a good photo to share with friends and social media. If you’re like most people, 90% of the photo is of your crotch or you are positioned ridiculously hunched over. RAILBLAZA fixed this problem for me with the Camera Boom 600. The bottom of the camera mount is a thumb screw so you won’t have to go scrounging around for a screw driver or key every time you want to mount your camera. As long as the camera is not too heavy, you can move the swivel base to whatever angle you like for the best angles. The Camera Boom has a universal tripod screw of 1/4-20 inch, which means that pretty much any camera will work with it as long as it has a tripod mount. 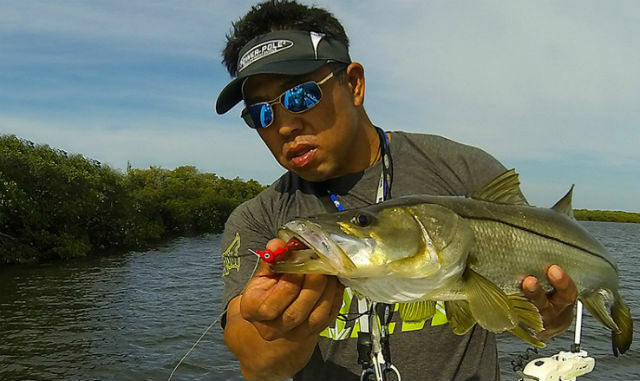 Included in this article are some examples of the photos that I used the camera mount on a boat and kayak to get some “selfies” while fishing alone. 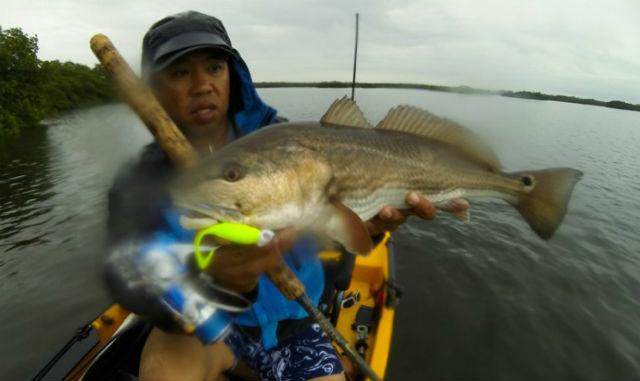 We want to know what you think about Sam’s new “selfie system!” What are some other useful tips for beginners getting into kayak fishing photography? Tell us what you think! Comment below, reach out to us at socialmedia@yakgear.com or find us on Facebook, Twitter, and Instagram using the #YakGear hashtag!